Know Your Baby: The Smart Breastfeeding Meter! I can remember with dread the hours spent in a doctor's office worrying that my baby wasn't getting enough breastmilk. Unlike formula-fed babies, it can be very difficult to know if they are getting enough to eat. You can't measure breastmilk like you can a bottle, and so you're left with weighing the baby after each feeding, or worse -- weigh the wet diapers that they leave behind! I'm so thrilled to learn about a new product that alleviates all the worry that moms have, as well as gives them information needed to make informed decisions with their doctor. And with a recent study concluding that breastfeeding for at least six months reduced the risk of an infant developing non-alcoholic fatty liver disease in adolescence by a third compared to those who were fed less than six months, it's more important than ever to have the support you need when nursing! 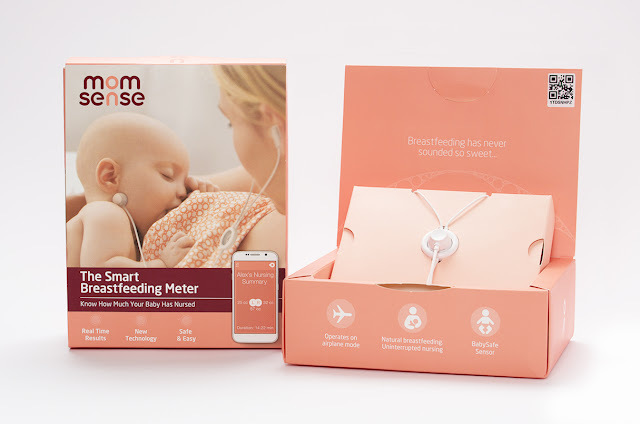 Since a fear of "inadequate supply" is often noted as a reason for stopping nursing, I'm happy that Momsense has created The Smart Breastfeeding Meter to measure and track a baby’s breast milk volume intake when nursing. How exactly does it work? 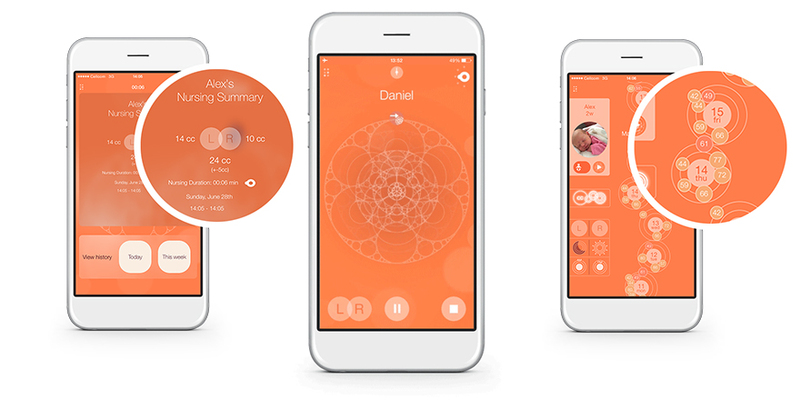 It's genius, really... By using a little microphone sensor that goes underneath baby's earlobe, the patented technology can sense how much baby is consuming and the information is sent to your smart phone for easy monitoring! How cool is that? You can now find this product on the Momsense website, as well as retailers Target and Babies R Us via their online stores. We are super happy to be able to give a lucky Lille Punkin' reader a chance to win, as well! Wanna Win? To be entered to win this Baby Maternity Magazine 2016 “Top Choice of the Year” award-winner, just use the form below by July 10th at 11: 59 pm EST. This giveaway is open to U.S. residents 18+. What a fabulous way to see how much my baby is drinking! This would be a gift for a new mom! Thank you! Great way of knowing how much your baby is drinking. I know that's every breastfeeding mom's concerns. What a great idea! I know a mom who would love this! As a currently nursing mom, this would be great! I am expecting my first-- so I would love this! I'm expecting my first. A little girl. As a new mom this would ease my mind about how much she is eating. There are so many things to worry about with a newborn and it would be nice to put my mind at ease for at least one of them. I would LOVE LOVE LOVE this. On my third child, I have polycystic ovarian syndrome and have had low supply with all 3. This is the first one I've been able to exclusively breastfeed but there's constant ups and downs. Like having mastitis and watching my supply plummet to an ounce or two a session. :( This would be very helpful. This would help me so much. My baby girl was five weeks premature and now at four months is still gaining slowly despite nursing regularly, having normal diapera and seeming happy and this would give me so much peace of mind to know that she is getting enough! I would absolutely gift this to my sister for her daughter. Ironically, she has always been concerned about ensuring my niece gets a full feeding. This would be great to help ease her anxiety. I would use this with my baby once he's here! I am due in a couple of month and this would come in handy! This would be a great gift for my sister who is expecting! This is the most amazing invention I have every seen! My wife and I are expecting in September. We conceived via IVF and she has heard that sometimes IVF mothers have a much more difficult time producing milk. It is her greatest fear that she won't be able to produce enough to nourish our daughter adequately. So winning this would be a godsend for her. That would be a good gift for my friend. Would give this to a new mom. Wish they were around when I was nursing my babies. I'd love to give this to my sister-in-law. This would have been helpful. It is a good gift idea. It's be great to know how much my babies eat so we know how much expressed milk to leave for baby sitters. This would be great for my friend who is expecting. This would be great to track babies eating! I would share this with my sister who just had a baby. i would share with my friend from work. she is going to love it. My daughter is expecting twins in Nov and this would be a wonderful tool! This would be great for my daughter and my grandbaby. I would share it with my friend from the office who just had her first baby. I'd love to win this for myself and my newborn, well she's going to be 3 months old next week. I'm always wondering if she's getting enough to eat, esp. since she started out so small. This would definitely help! My sister just had twins in June. I would definately give this to her ! I'd use this once baby is here to make sure she is eating enough. I would give this to my sister who just had her first baby and is breastfeeding. This would be for my daughter's mother. Thanks for the chance! I would give this to my daughter in-law who is due in 3 weeks. This would ease my mind so much with the baby we are expecting! I have tried to nurse all three of my kids and never felt like they had enough, so we supplemented. I would share this with my sister who is expecting a baby boy in October. She would love this! I'd gift this to my sister she's expecting her first baby in a few months and will be breastfeeding. Our daughter is expecting her first baby, so this would be great for her. I'd share it with my friend who is expecting! I am super intrigued by this product. I'd love to know how much my baby is taking in. 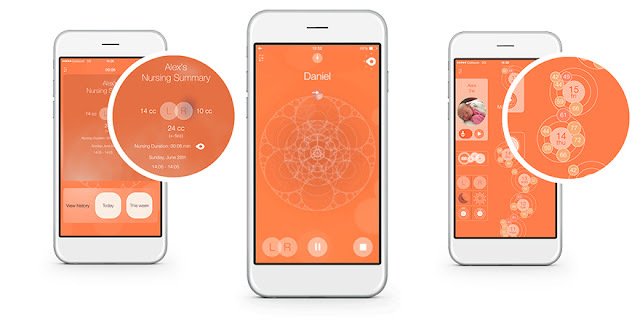 This would be so helpful for keeping organized and on track for breastfeeding! I would give this to my sister as she just had a baby.